Spectrum Sign Systems, Inc. is a full-service sign company with more than 60 years of combined experience. We serve St. Paul, Minneapolis, MN and surrounding areas and work with developers, property and facilities managers, retailers, and educational, financial and medical institutions. We are dedicated to creating signs to meet their unique needs, on time and within budget. From initial site survey to design, fabrication, installation, and maintenance, our experienced and professional staff takes care of every step of your sign project. Our signs will help you create a first - and lasting - impression, one that sets you apart from your competition and secures your image. We help retail stores, businesses, universities and other institutions build their brands, improve their visibility and increase their sales. 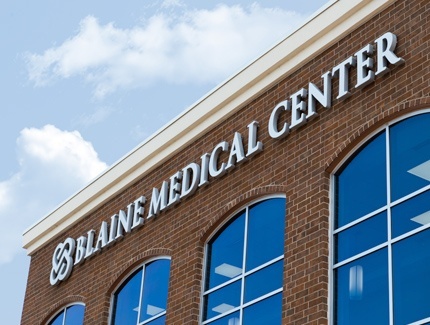 Learn about how we can help you create effective exterior and interior signs. Our reputation depends on it. That's why our business is based on a philosophy of honesty, integrity, and professionalism. Thanks, in part, to our ongoing commitment to these core values, we have successfully assembled a large base of loyal customers. "Spectrum Sign Systems has been a preferred vendor since their inception in 2001. We have continued to do business with Rick Ferraro and his staff primarily because of their expertise, dependability and fair pricing for our electronic message display installation and service projects. Spectrum Sign Systems is a valuable partner as we market to our current and future customers." Interested in Joining The Spectrum Team?